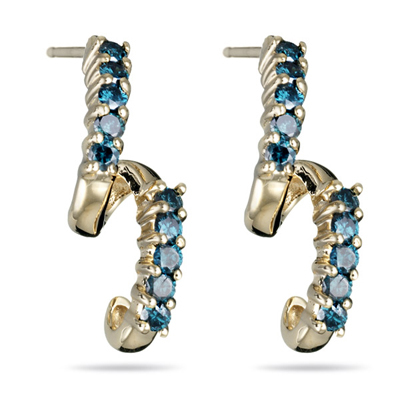 2/3 Cts Teal Blue Diamond 14K Yellow Gold Earrings . This is a beautiful pair of teal blue diamond earrings in 14K yellow gold. Total Diamond Weight: 0.65 Carats. A beautiful gift for your loved one.